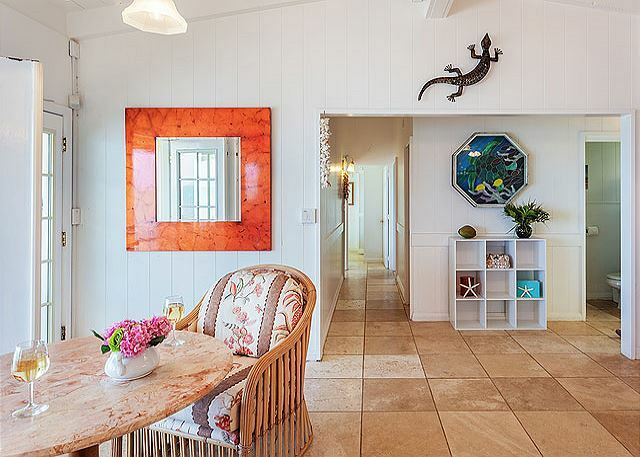 Beautiful, spacious 4 bedroom, beachfront home located on Oahu's North Shore. 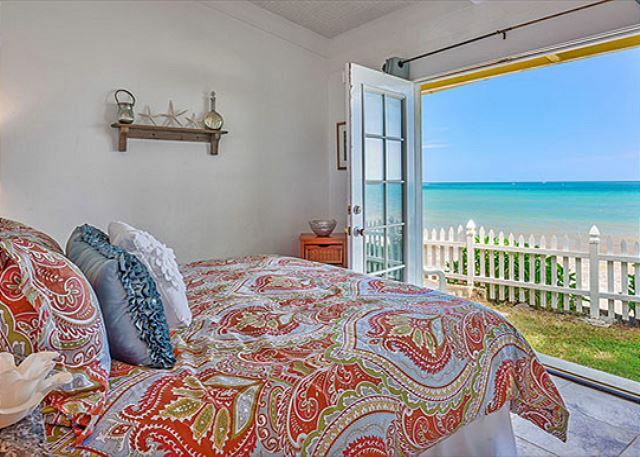 Gidget's Beach Bungalow comfortably sleeps 8 guests, with two oceanfront facing bedrooms. 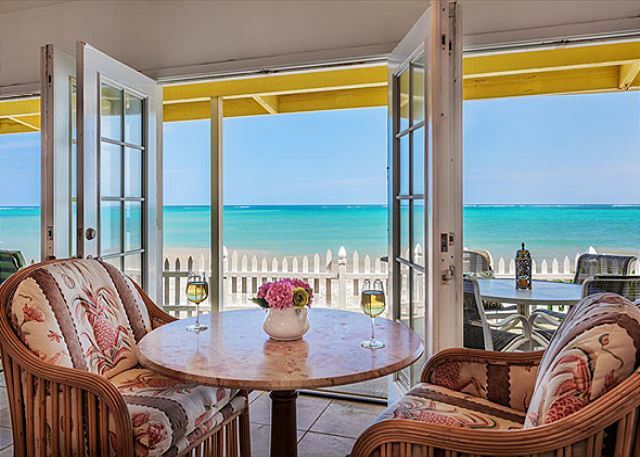 Open up the French Doors to experience the tropical sea breeze. 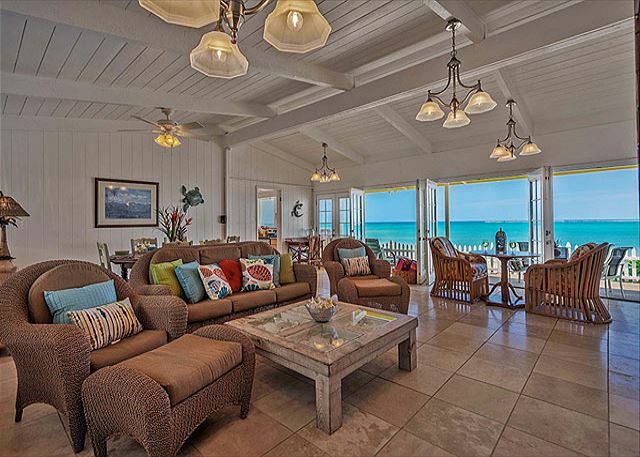 Direct beach access from the patio allows you to jump into ocean at your heart's desire. All bedrooms are equipped with A/C, while the living area is kept cool with several ceiling fans and trade winds. 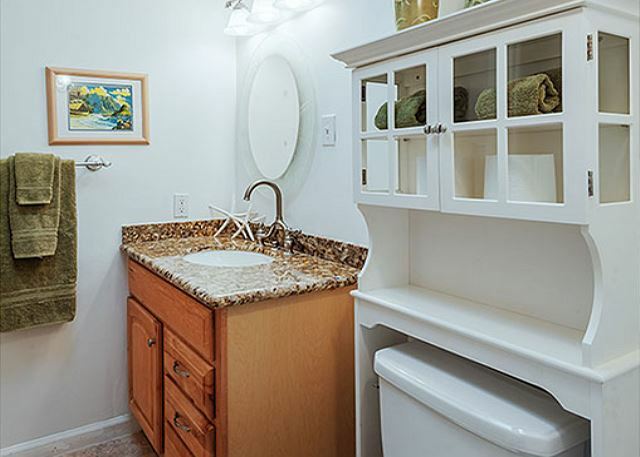 The well-stocked kitchen has all the amenities you need to prepare meals. Enjoy your morning coffee while watching the sun rise from deck. Wake up and fall asleep to the sound of the ocean. The beach outside the home is protected by a fringing reef, making it ideal for snorkeling as well as young children. Take a long, leisurely walk along the sandy beach or simply go for a relaxing swim. 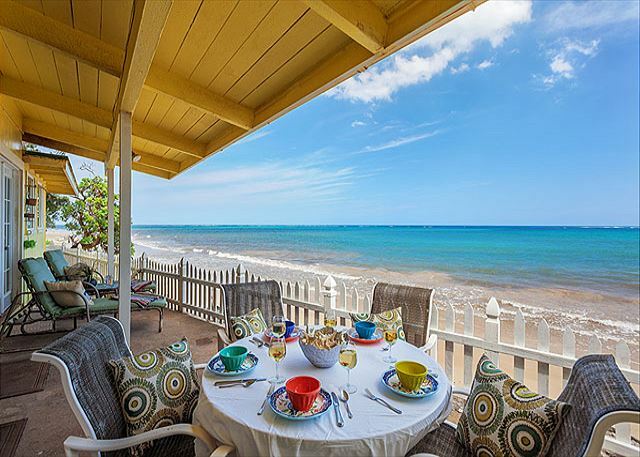 Gidget's Beach Bungalow is located in the quiet country town of Hauula, just north of Punaluu and south of Laie. Nearby attractions include the Polyneisian Cultural Center, Kualoa Regional Park, and Kaena Farms Zipline. 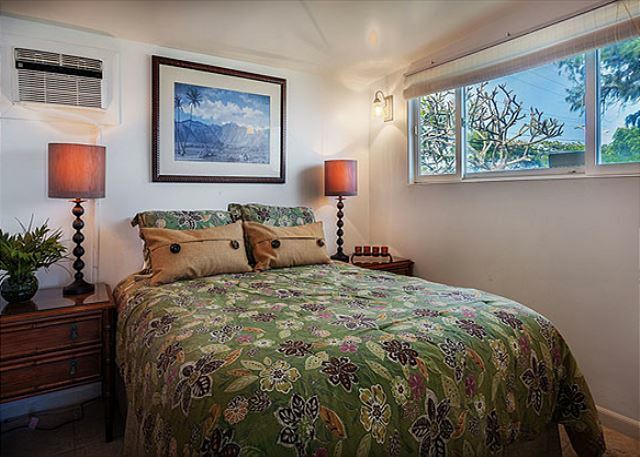 Twenty minutes away is historic Haleiwa town, Waimea Bay, and Sunset beach. Other things to note: Pack n plays, cribs and kids beds can be rented and delivered. AC in bedrooms only, fans throughout home. AMAZING!!! HOPE TO BE BACK IN THE SUMMER!!! Amazing experience, super calm, super relaxing and can’t wait for my other family to experience this! Hope to be back in the summer, that would be fantastic! Manager Response: Thank you for staying with us, we are so happy you enjoyed yourselves. See you this summer!!! We stayed for 5 nights in this awesome house. The place was clean, comfortable, and more than we could possibly imagine. The management was easy to work with and very kind. I've seen some posts about the driveway and getting out of the property, and they were accurate. It was a little scary at first but that's really the only negative. The bedrooms were spacious, the kitchen had all the necessities to make our stay wonderful, and the beach was awesome! Will definitely go back and highly recommend this place. We had a wonderful stay at the rental house. We loved having the beach a few steps away from the house. The beach was beautiful and clean with low waves, making it perfect for swimming. The morning sunrises were amazing and it was so nice to have the heat every morning and the air conditioning inside was great!. The house was clean and bedding lovely with beautiful decor pillows! The furniture inside the house is beautiful and there is enough seating area to accommodate 8 people. Lots of dining options- dining room and kitchen tables. The kitchen was stocked well for cooking including a blender and rice maker- which we loved, since we love to cook. The patio lounge chairs outside were totally corroded with the armrests not attached to the bottom part. They were both rusted right through and we were afraid to use them. As it turned out, while reading on one of them, it totally collapsed and I landed on the concrete. I would highly recommend replacing them with new ones. The other suggestion I have is replacing the shower liners with new ones, since they are both very moldy, which is disgusting. The guest book needs to be updated with garbage pick up- I think the dates that are in the book are a few years old, and we were confused as to when the garbage would be picked up due to the holiday. Also, instructions for the DVD player... we could not get it to work, unfortunately- there was a great assortment of movies to watch, which we could not. The property manager was great- we had a concern the first day, which was taken care of right away!! I would stay here again, and recommend it for my friends! Overall, we had a wonderful experience. There were a few suggestions: more kitchen towels, more hand towels in the bathrooms, the stove was hard to figure and we did have some electrical issues, which were promptly taken care of. The beach in the front yard is fabulous! We'd all love to come back someday. 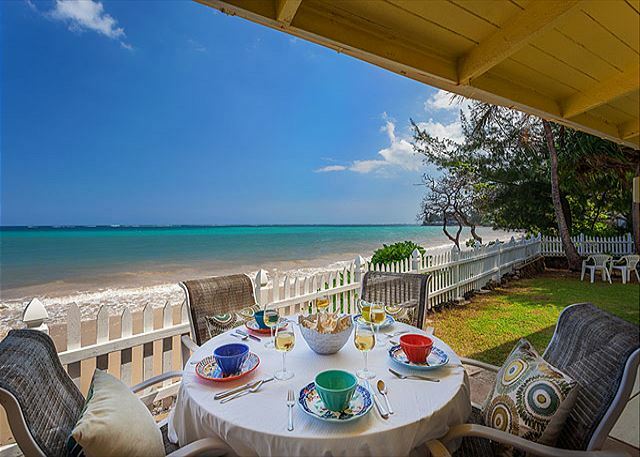 There are pro's and con's to a beach side bungalow, pro's are it's truly a beautiful location, literally on the water step onto the patio and the water is right there. Fabulous at night we slept with the window open listening to the waves crashing on the patio wall. Honestly a really relaxing place to be. Down side is being next to the water everything breaks down, we had 2 air conditioners blow out and the dishwasher. Shout out to the staff we had an app on the phone and contact details. They swung straight into action and replaced the ac's and dishwasher within a day. The beach is okay but you will need to travel north for the spectacular beaches. Food is plentiful and good, Tamura's supermarket 5 mins away has everything and an amazing poke counter you have to try, shrimp and other food trucks dotted all along the highway must try's. You will need a car there is ample parking at the house but being on a blind curve you will need one of you to be a spotter when coming in and out. If you are looking for nightlife this isn't it but relaxing break I would recommend it. This is the windward side of the island so we did get a lot of cloud and some light rain, but drive north 30 minutes and you round the top of the island and get pretty much guaranteed sun and great beaches. The area and access were incredible! We didn't want to leave. Had some minor problems the first day (alarm system, broken coffee pot, chirping fire alarm, no internet) but the staff had it fixed in no time. Could've used a good cleaning prior to our arrival was our only real complaint. Overall, it was an excellent beach-house! Absolutely stunning view right on the beach. 4 bedrooms, all with A/C that worked well. Living room is very spacious and accommodated our party of 6 Adults with no problem. There were a few lights in the living/dining area that didn't work, the coffee machine didn't work, and it was a little weird that some windows didn't have screens, but those were all very minor things - nothing that caused major issues for us. I contacted Hawaii Beach Homes to let them know the coffee machine didn't work and offered to reimburse me if I went out to buy a new one. Wow. Any closer to the ocean and you will need gills to breathe. Fabulous sunrises, great views from inside and out. We had a minor glitch (blown fuse) and the owner was very responsive. It is not so much if you have a problem, it is how it is handled. Gidget's Beach House was absolutely perfect for our holiday on the Oahu coast. Our family of eight (grandparents, sons and spouses and 18 mo granddaughter) had the best holiday here. Home was clean and is well appointed, couldn't get any closer to the water, and the beach was perfect for playing and swimming with a toddler. Spent great evenings with beautiful BBQ dinners watching the sun set, and lovely early morning swims. Close drive to other north shore sights and beaches. Close to Food Land and other shops. Bedrooms air-conditioned, and very comfy beds. 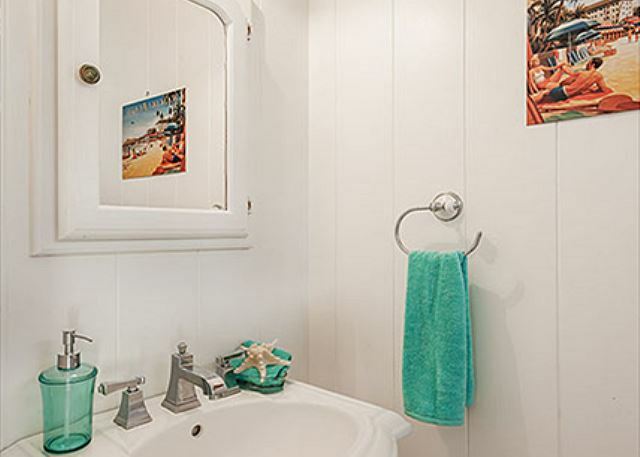 Lots of towels - for beach and bathroom, large living dining areas, with fans. It was honestly one of, if not the best, holiday our family has had. Will always remember everyone coming back from shopping at outlets (only an hour drive away) after Nana and Pa had been babysitting, and all of us floating and laughing in the water right in front of the beach house! Best time ever! We had a absolutely fantastic time at Gidget's Beach Bungalow. 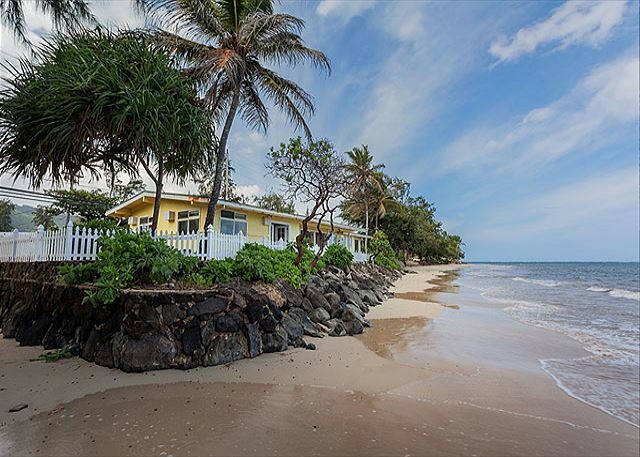 If you are going to vacation on the north shore then a house right on ocean/beach is the way to go Gidget's is located so close to shopping Food Land 5 minutes up the highway Polynesian Culture Centre/ Turtle Bay Resort in one direction. Macadamian Nut Farm/ Kuala Ranch where Jurassic Park/ King Kong and many other movies and t.v. shows were filmed. TIP! at mostly every store you shop in they have a discount program for tourist where all you have to do is register a phone # and you can save a good amount of money if you shop enough. There was nothing going to sleep at night with french doors of master bedroom open and waking up to the sound of the waves of the ocean also just a couple of steps and you are swimming in beautiful warm water absolute heaven we will definitely be booking this house next time we are in Hawaii. Oh forgot one we actually spotted Whales straight off the lanai of house out on horizon.